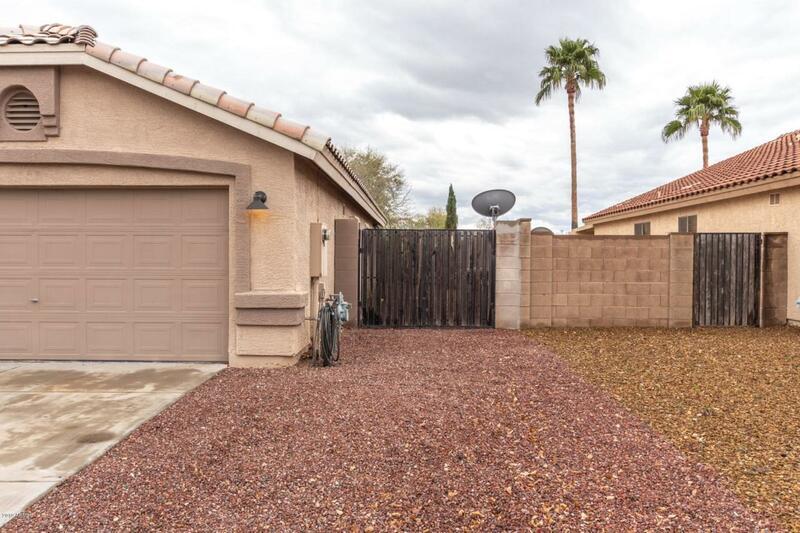 Built-to-last 3 bedroom, 2 bath 1,721 sq. 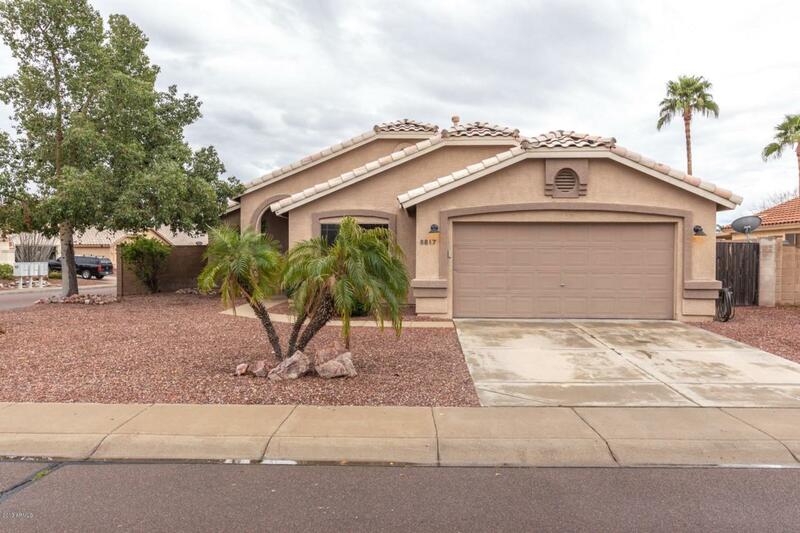 ft. custom dream home in immaculate condition, conveniently located in Peoria near preferred shopping, dining, entertainment and schools. New slider & windows replaced in great room 2018. Backyard covered patio with pre-installed ceiling fans. 2 car garage w/ 6 ft extension and RV gate. Gorgeous, hardwood and tile interior flooring. Remodeled, eat-in kitchen boasting quartz countertops, crisp custom soft-close cabinetry, island/breakfast bar, and state-of-the-art, stainless steel appliances. 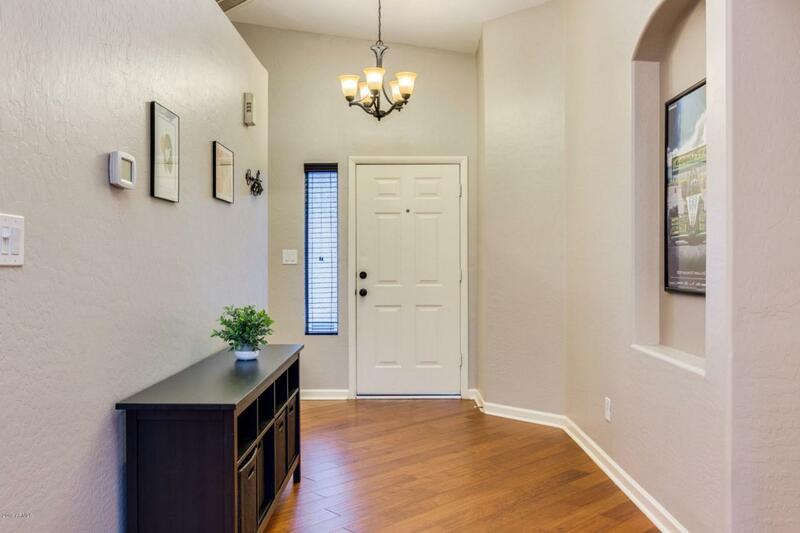 Spacious family room with notable vaulted ceilings shares an open space with the kitchen. Roomy, walk-in Master closet and full Master bath possessing vanity with double sinks, pristine bath/shower, and private toilet room. Call to schedule your private view.